The previous Attack on Titan adapted the storyline of the first season of the show. Naturally, the sequel tackles the second season. One big difference in how the story’s presentation this time is the perspective. 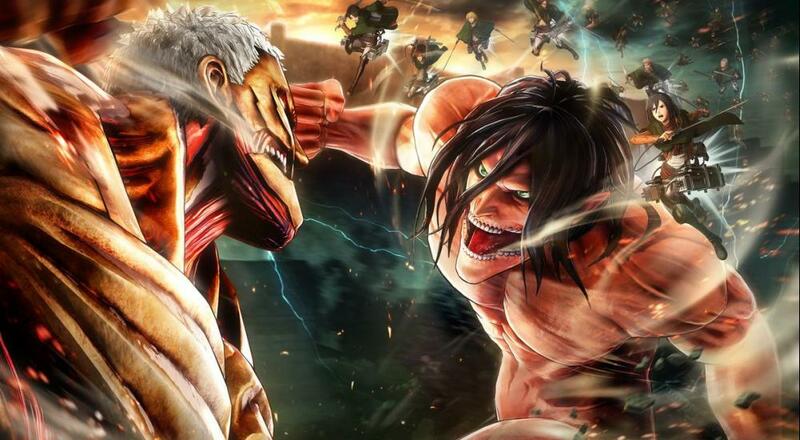 Last time, you played as Eren, Armin, and other known members of the Scout Regimen – soldiers who seek out new habitable land and fight against the gigantic Titans that threaten humanity. This time, you’ll play as an all-new member of the Scout Regiment that you create. Your scout will take part in the same key events from the show, engaging in missions with established members of the team. Cinematics take place from a first-person perspective, whereas the gameplay retains the traditional third-person view of your character and surroundings. Not only do you get to control your custom scout throughout story mode, you’ll also be able to play as him or her in the game’s online co-op and competitive modes. It’s a clever way to keep players invested throughout the entire Attack on Titan 2 experience. Of course, you’ll still be able to play as other characters in multiplayer as well. Multiplayer features 30 playable characters from the show, twenty more than the first game. 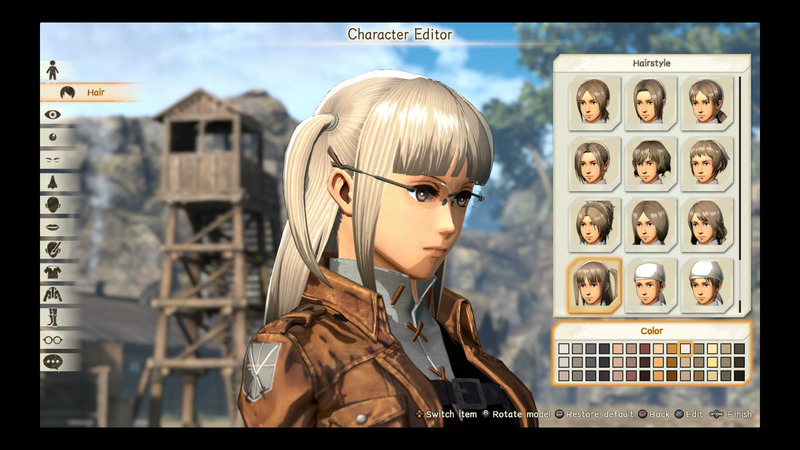 Other Koei Tecmo games like Toukiden 2 offer truly robust character creation tools, and Attack on Titan 2 is no different. Upon starting the game, you’ll select from one of six basic body types. From there, the customization kicks into high gear. You can adjust very little facial feature and setting-appropriate clothing, all of which come in a variety of colors as well. The customization here kind of puts that of Monster Hunter: World to shame. Page created in 0.9773 seconds.